The gaming event of the region is back! 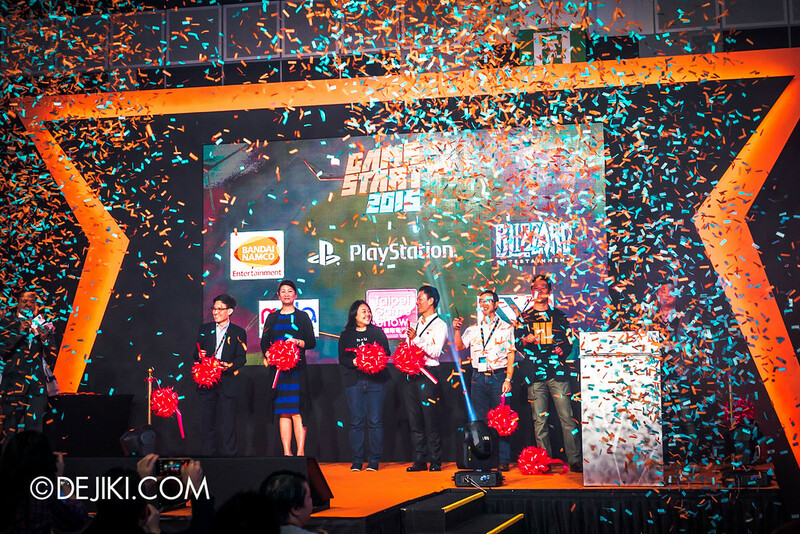 Check out the highlights of GameStart 2015 here. 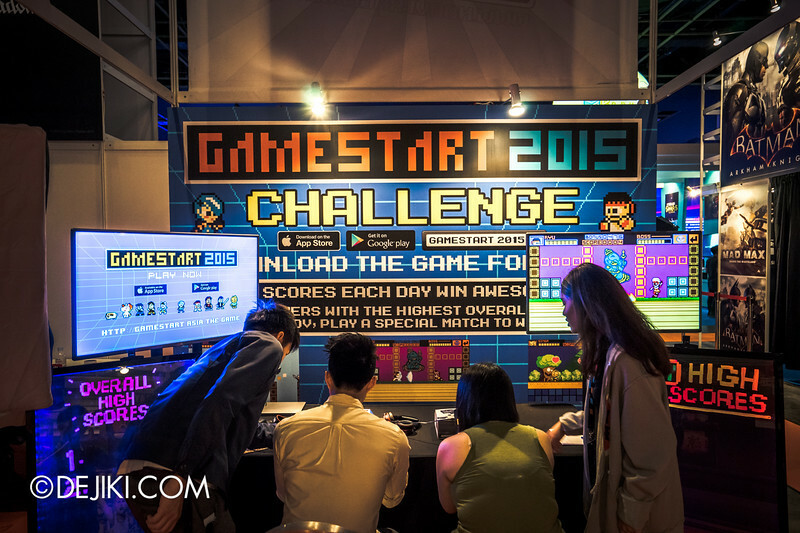 GameStart 2015 is twice as large as its inaugural show, with many ‘firsts’ that will be a treat to attendees. 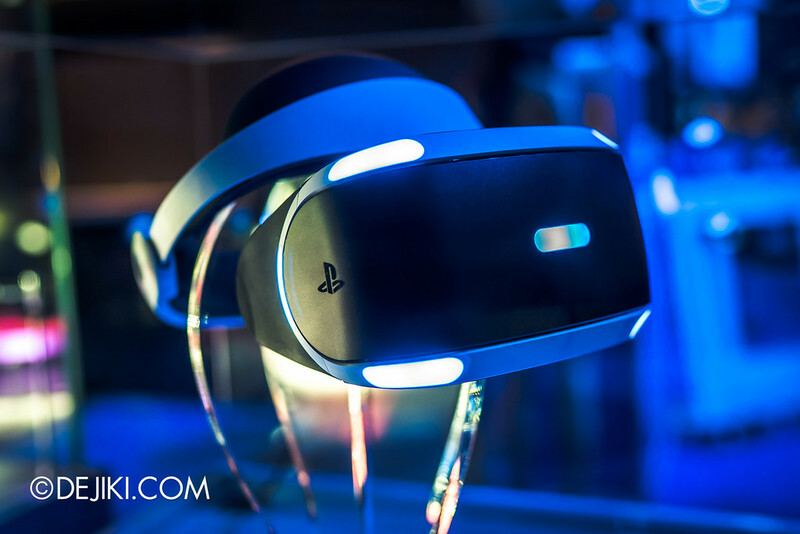 The exciting line-up includes the region’s first-ever public hands-on sessions with the unreleased PlayStation VR headsets for the PlayStation 4. 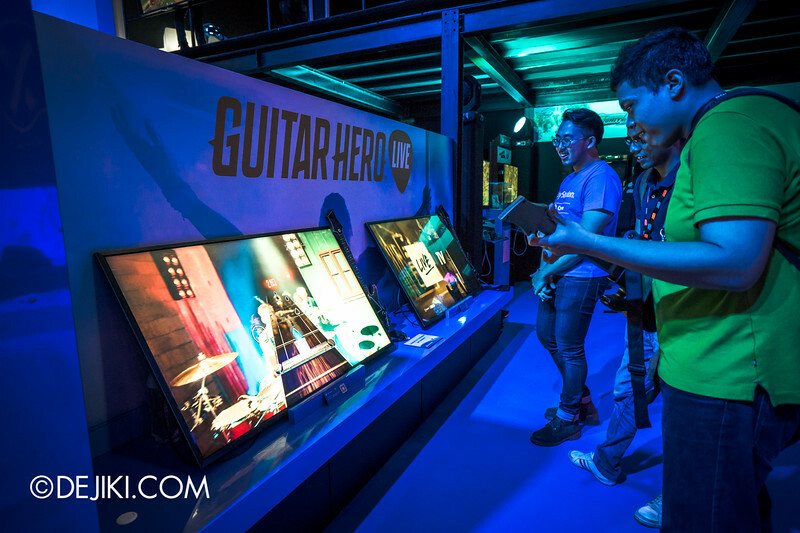 The big names in the industry are exhibiting new titles, many unreleased, that would thrill visitors with exclusive preview sessions. 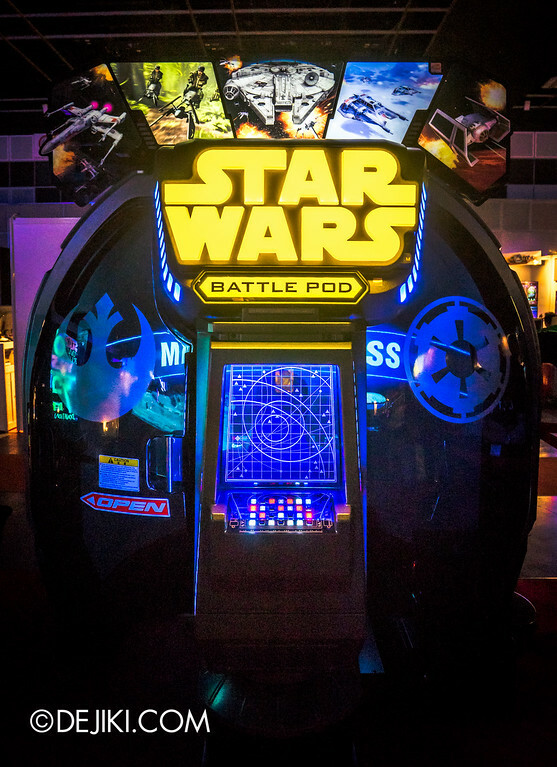 Star Wars fans will be treated with Singapore’s first Star Wars: Battle Pod arcade machine. We were there at the Business and Media Day to experience some of what the convention has to offer. 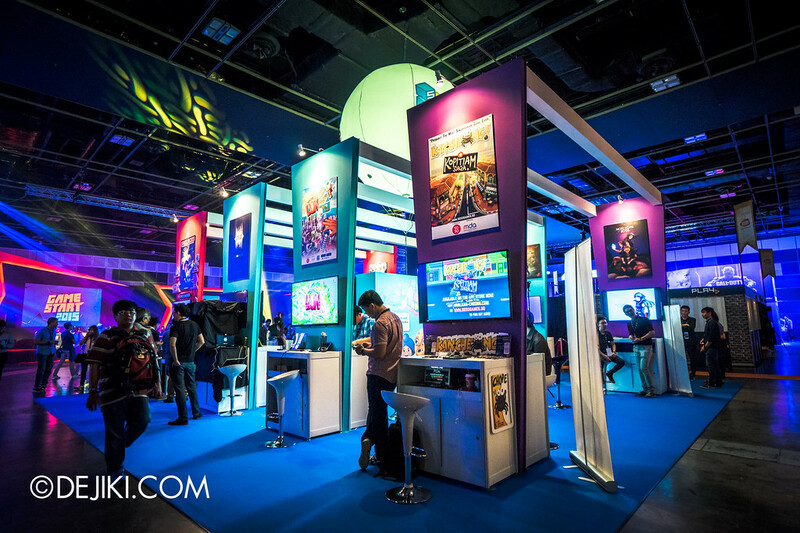 It was open to VIP ticketholders, industry partners, and the media, thus the lack of crowds. Expect public days (14/11 and 15/11) to be quite crowded, like last year! Special Thanks to GameStart for the media access! 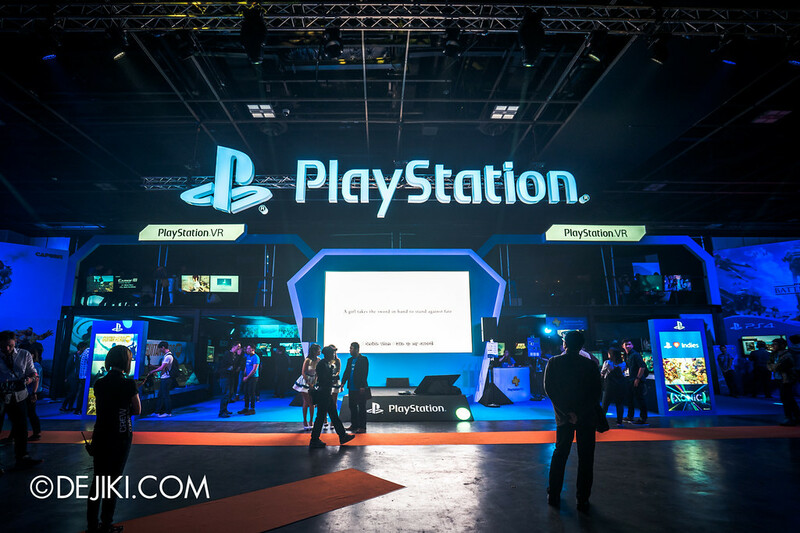 Headlining this year’s event is the massive PlayStation booth, which showcases upcoming titles and the unreleased PlayStation VR. 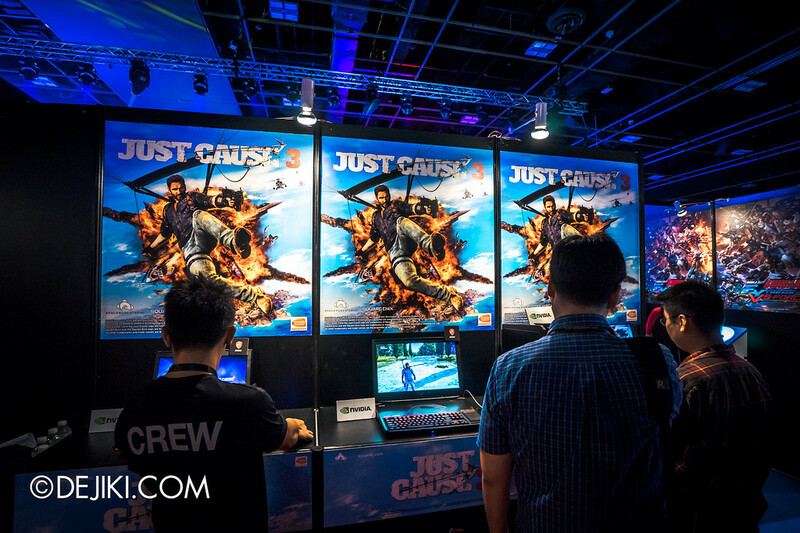 Since we have many photos here, we’ll go through the other booths first and come back later. 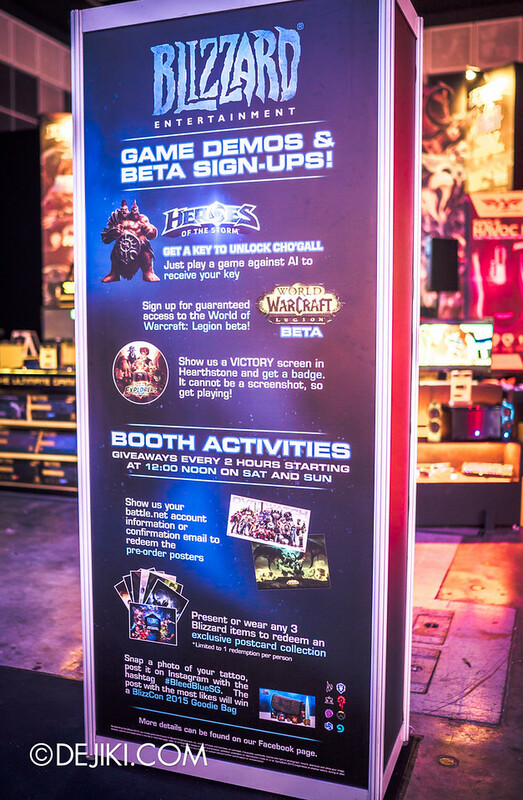 Play demos,sign up for betas and stake your claim on freebies at the Blizzard booth. Tournaments for Blizzard’s games are also happening over the weekend. And er – there’s no Overwatch at GameStart. Have a look at the details for giveaways here. 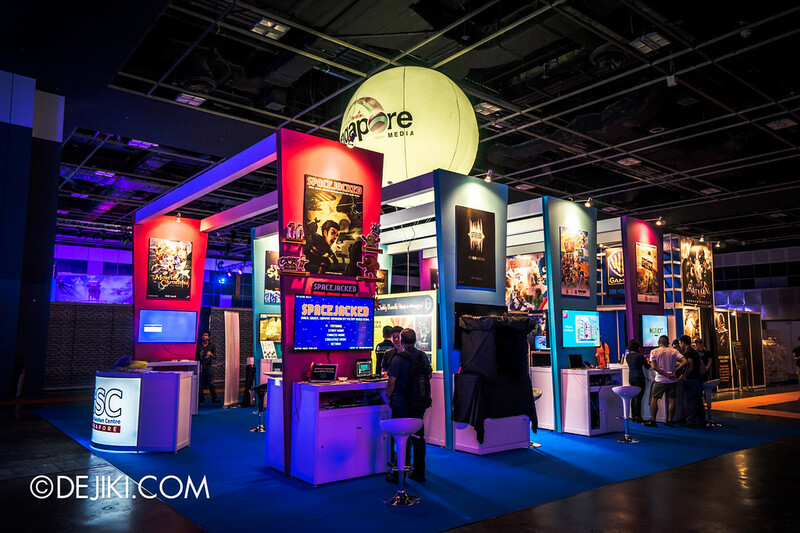 Support local talents in the video game industy at the Singapore Gamebox. 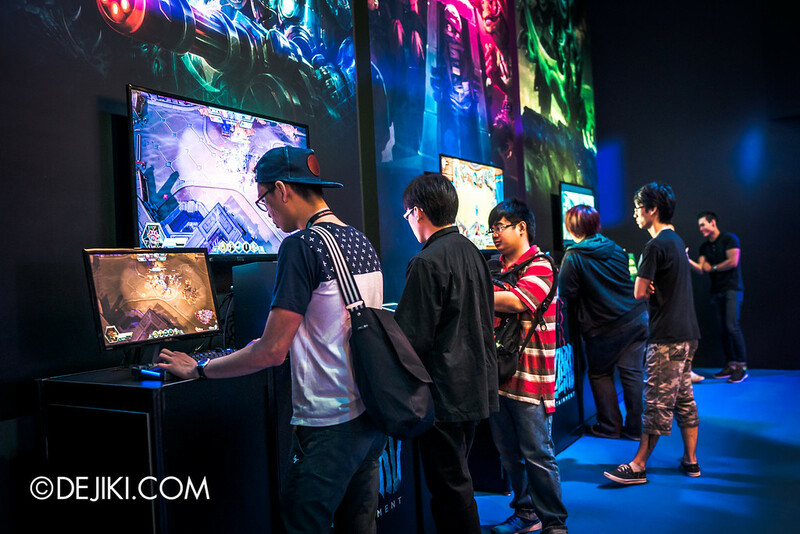 Many of the games are available for free on smartphones, but you may get a chance to chat with the creators. 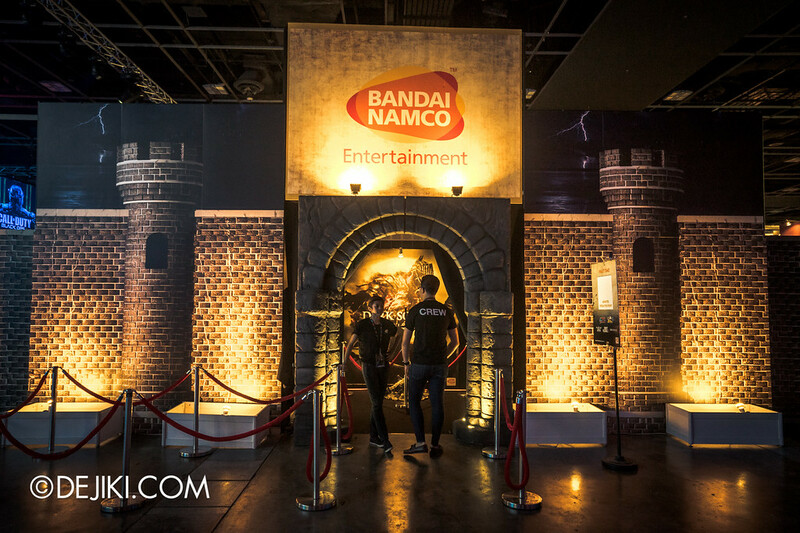 Inside Bandai Namco’s fortress, you can try your hand on Dark Souls III, Naruto Shippuden Ultimate Ninja Storm 4, Gundam Extreme vs. Force, and Just Cause 3. 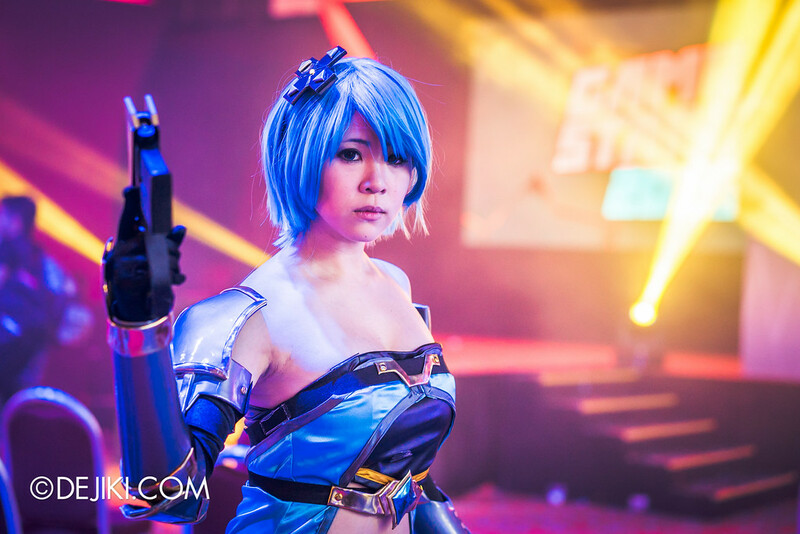 Of course, there are booth babes at GameStart! 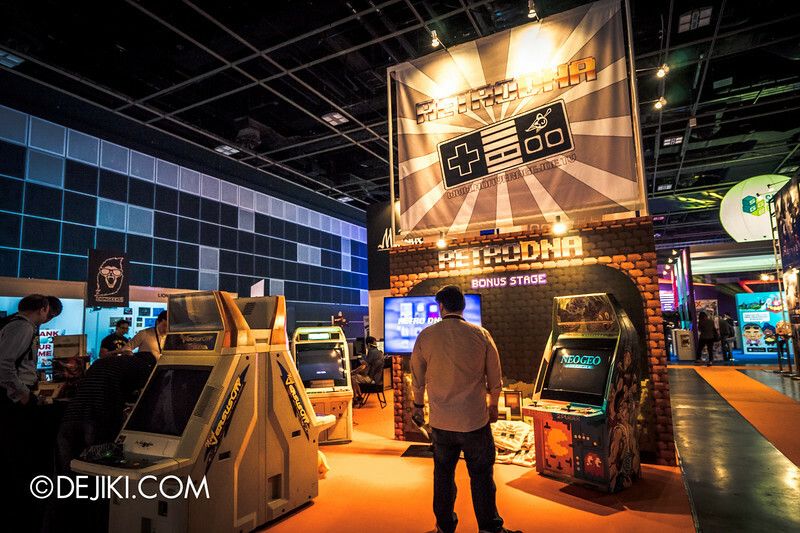 Retro DNA, a place to revisit old arcade games or even pick out that childhood game in the flea market. 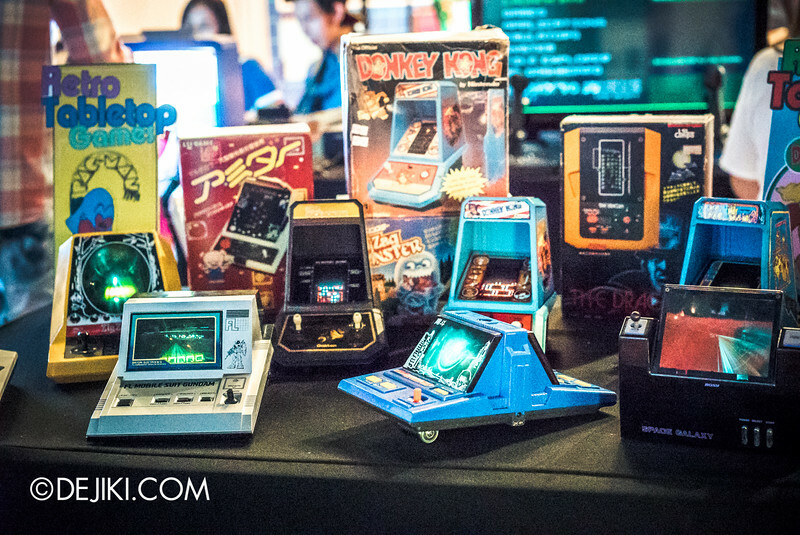 Or you can go tribute-retro with the GameStart 2015 Official Game competition. 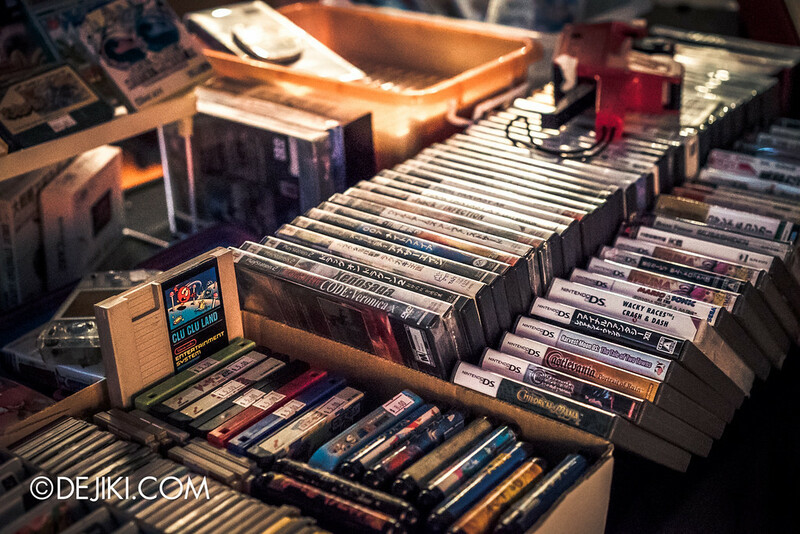 Some interesting finds at the Retro flea market. 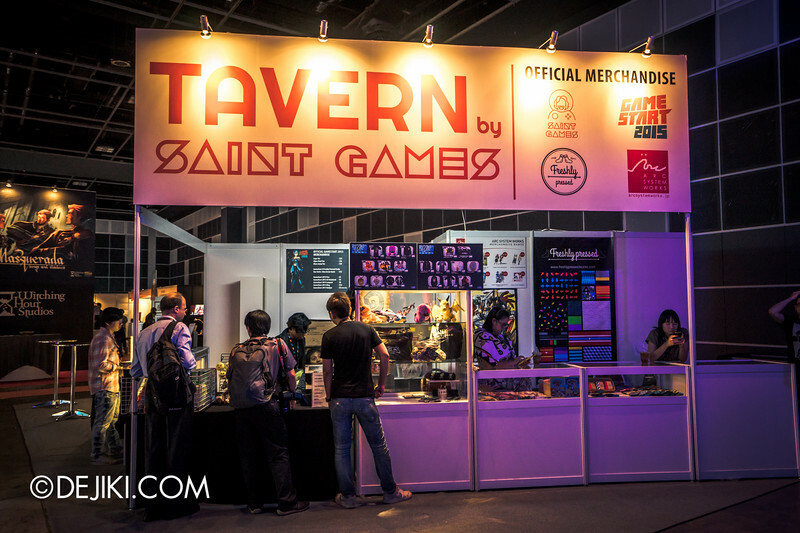 TAVERN by Saint Games is the booth to go for the BlizzCon stuff. 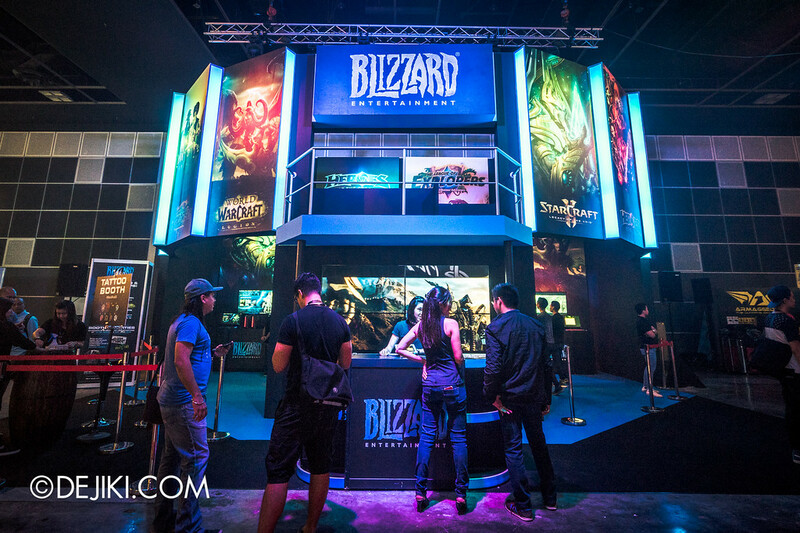 It’s beside the Blizzard booth anyway. 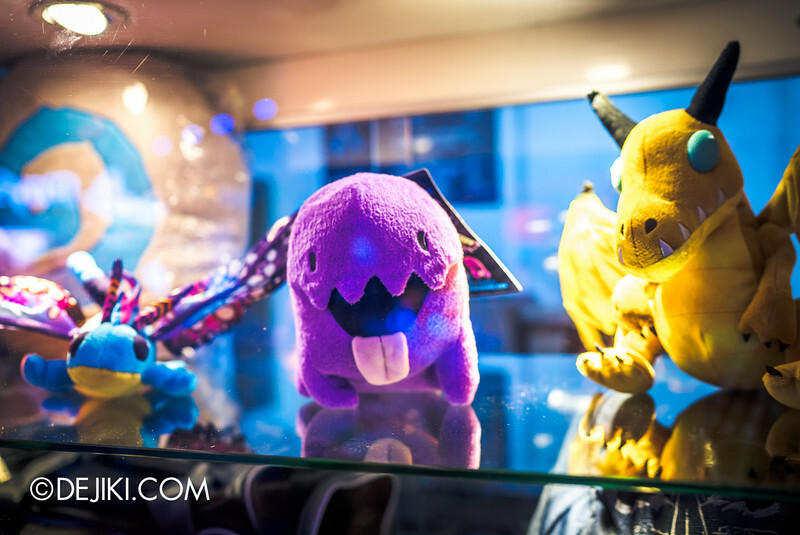 You can also grab official GameStart merchandise here! 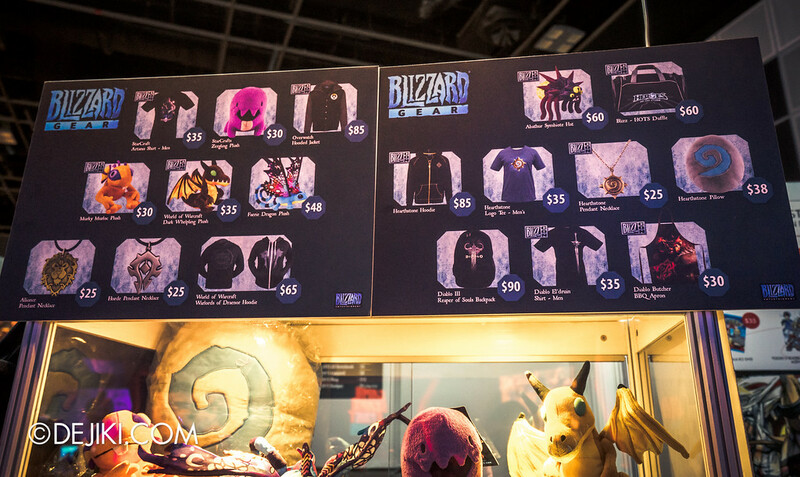 Price List for BlizzCon merch. 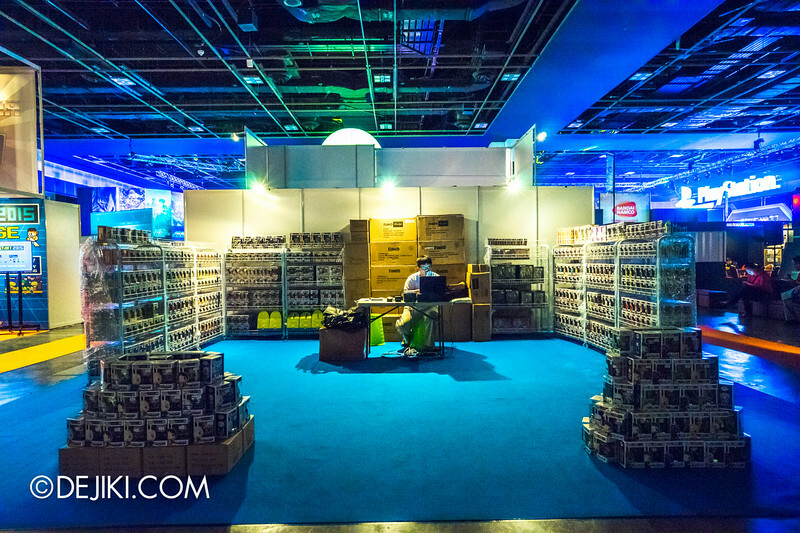 Presenting The Fortress of Solitude, no I mean… Simply Toys’ Funko Pop booth. 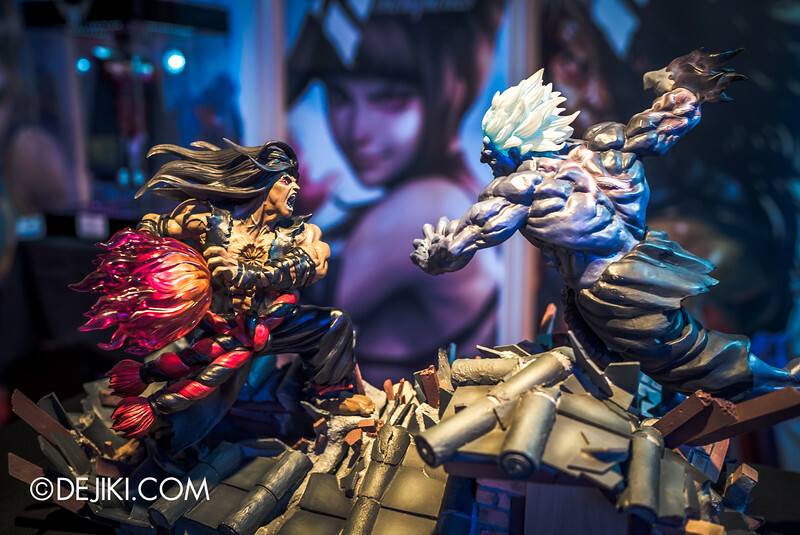 Marvel at amazing statues or even catch the artists sculpting them LIVE* at Kinetiquettes (near PlayStation ‘M18 Restricted Access’ area). 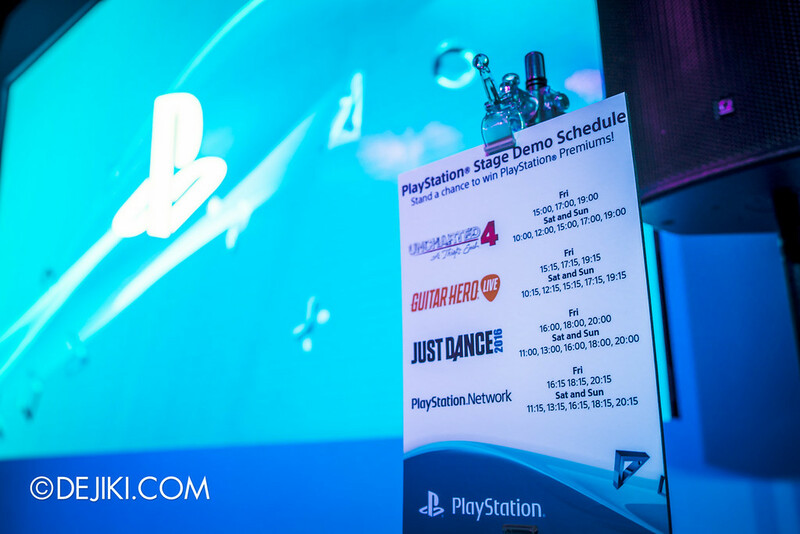 *Only 2 demos per day, refer to the schedule here. The geeks from Geek Culture have brought in the Star Wars: Battle Pod arcade game specially for GameStart 2015. 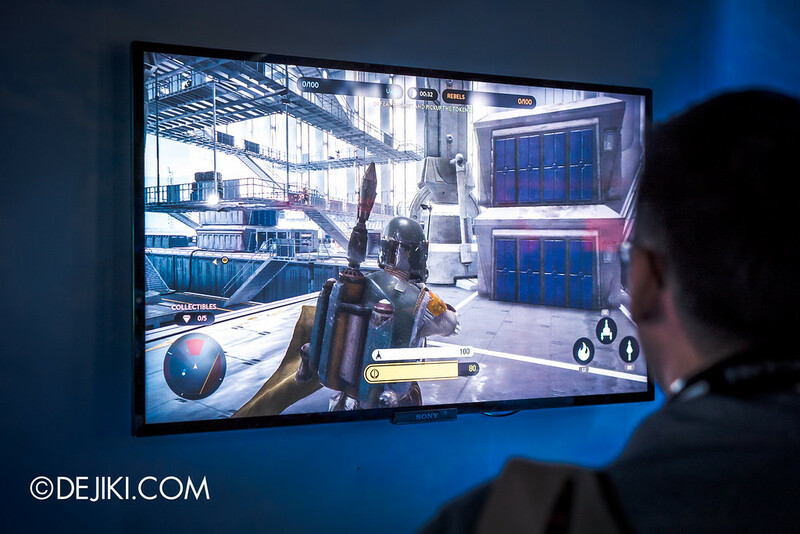 Built for the ultimate space flight experience, the Pod features a 180-degree dome screen that brings players right into five iconic battles in the world of Star Wars. It’s definitely worth the queue time! Now, we’re back to PlayStation! 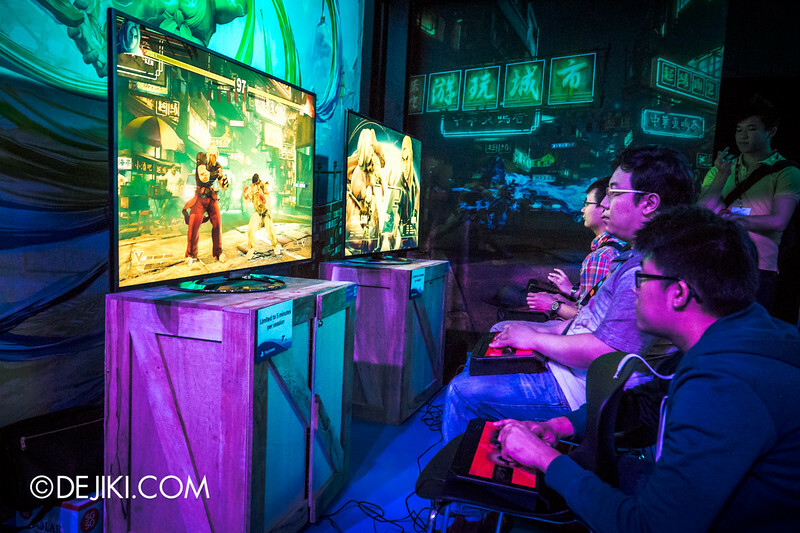 Looks like a serious tournament going on at the Street Fighter V area. 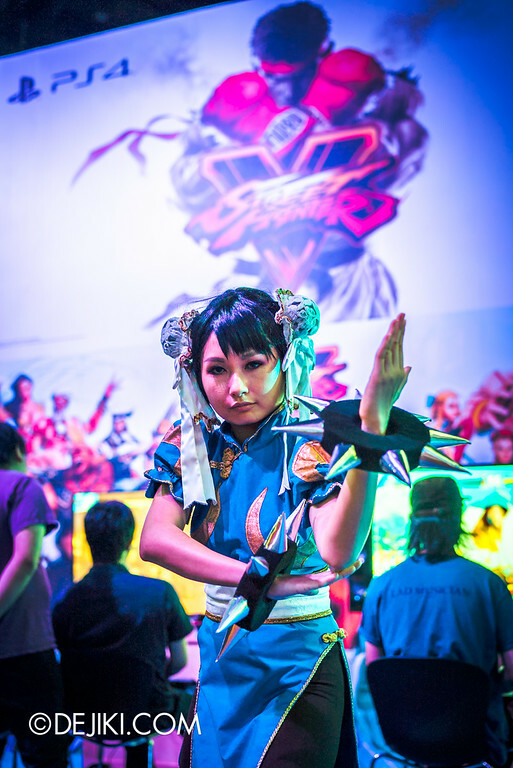 Even Chun Li is here. 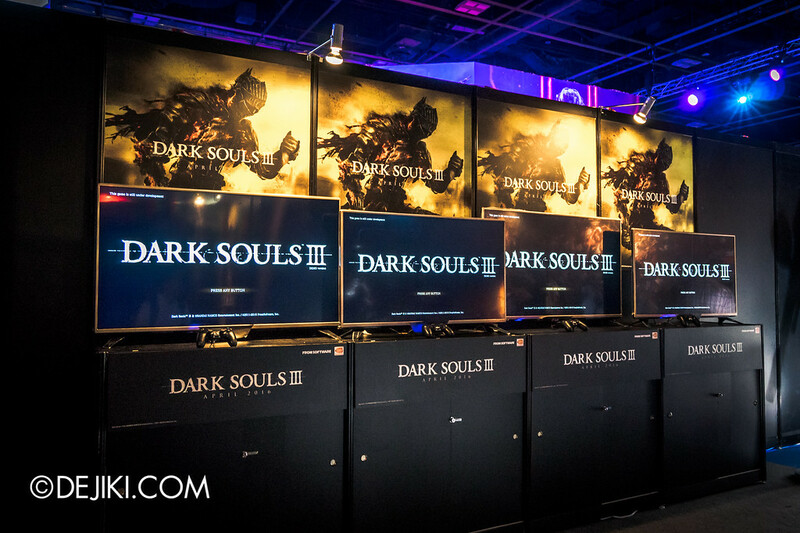 …to the PlayStation booth babes. 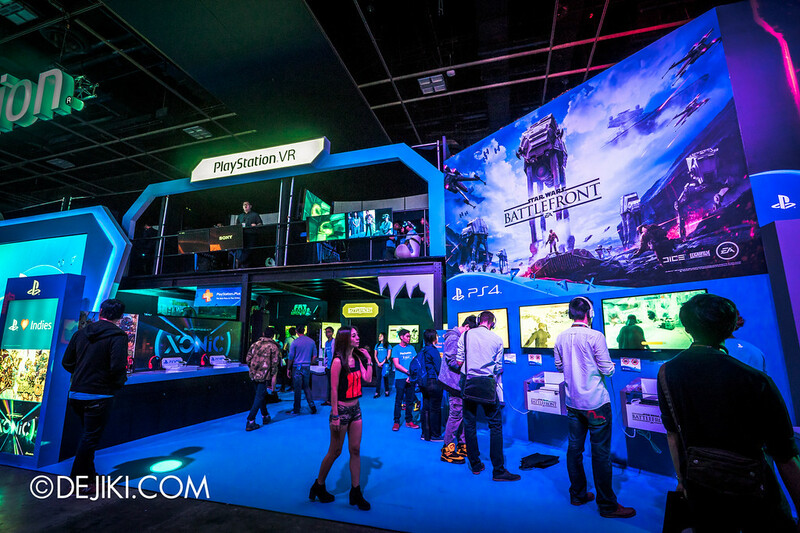 The right end of the PlayStation booth has many stations dedicated to Star Wars Battlefront. I’m not very sure about the gameplay, but the graphics look great. Still praying for the day the Jedi Knight series gets remade to this level. 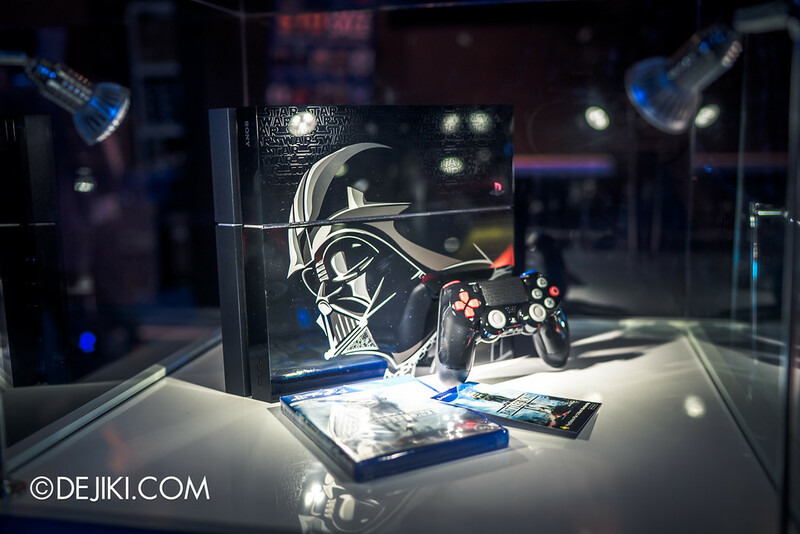 You can pre-order the Limited Edition Darth Vader PS4 console here at GameStart. For $599, it comes with the customised PlayStation 4 console, a Vader-themed Dualshock 4 controller, Star Wars Battlefront game, 12-month subscription to PlayStation Plus, as well as a voucher that can be used to redeem four classic Star Wars games from PlayStation Network. The games are: Super Star Wars, Star Wars: Racer Revenge, Star Wars: Jedi Starfighter, and Star Wars Bounty Hunter. Inside the Restricted Access zone, you can try titles like Bloodborne: The Old Hunters, and the hot new title Fallout 4. These games are rated M18, so you may have to show ID to enter. Consider it a compliment if asked. 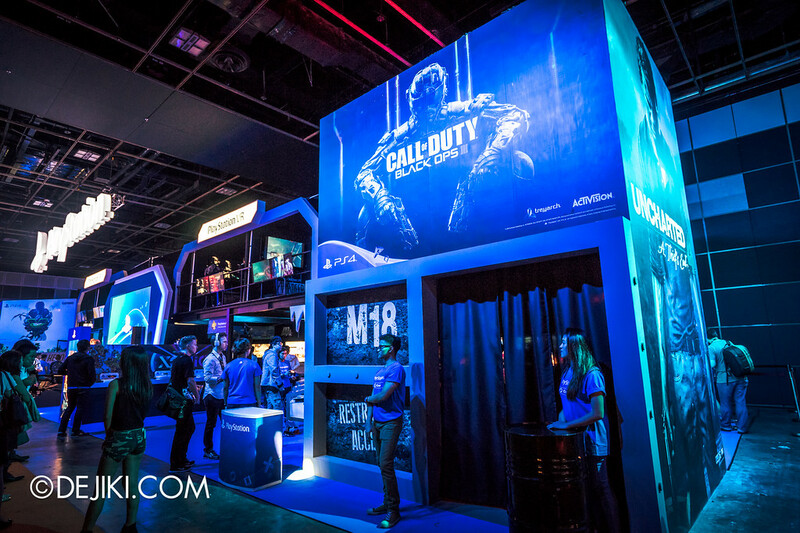 Behind the Restricted Access zone is the entrance to the second level, where the PlayStation VR hands-on demos are held. 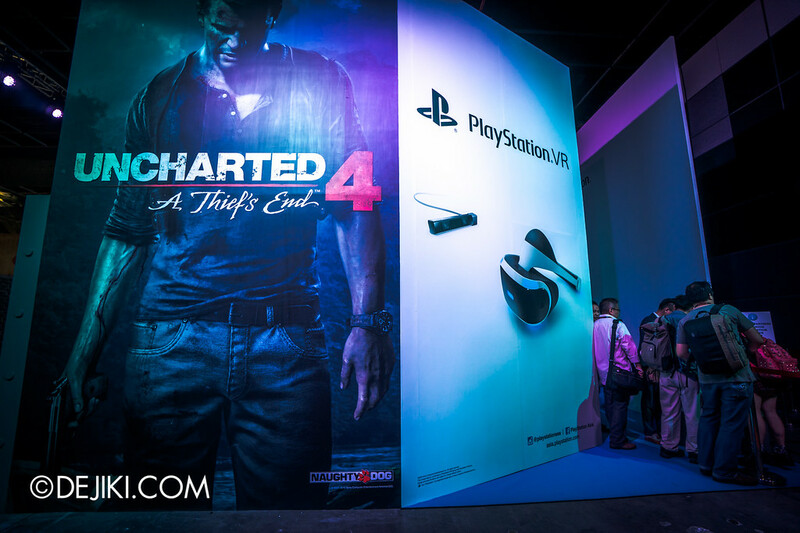 The PlayStation VR hands-on at GameStart 2015 is by appointment only. Unfortunately all the timeslots for 14 Nov and 15 Nov have been taken up. If an attendee misses their timeslot, it would be offered to people waiting in line, though I’m not sure how this will be done. Don’t be disappointed if you couldn’t try out the VR headset; we almost missed our chance too. 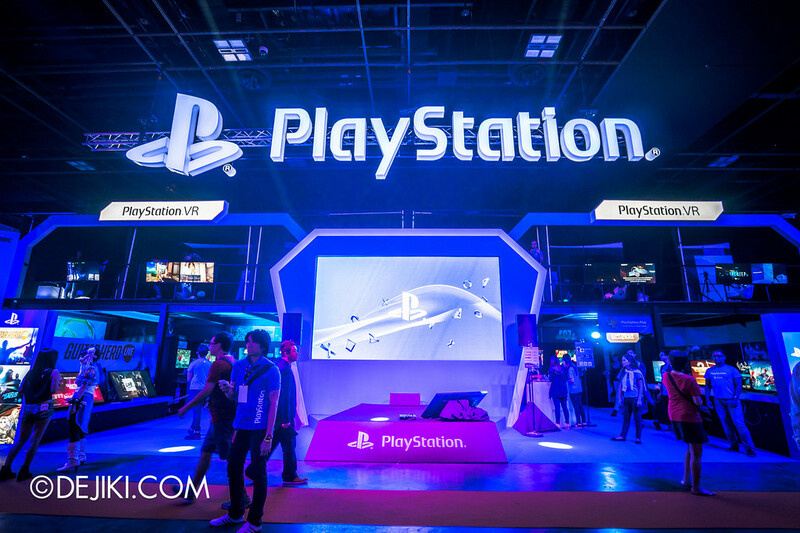 Sony has decided to stick to timeslots to ensure that even all media visitors get a good experience, despite the fact that there was barely any queue to be seen on Media Day. 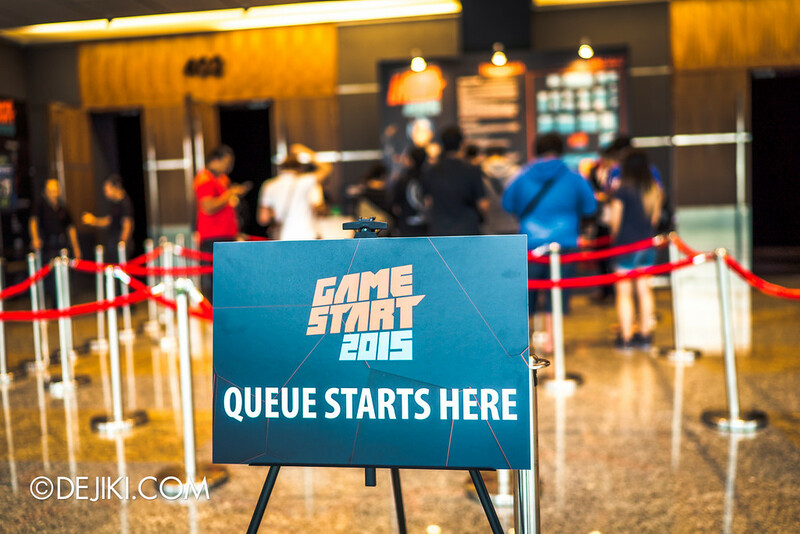 For more event and ticketing details, visit the GameStart 2015 ticketing page.